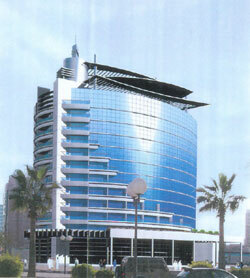 City Seasons Hotel Dubai - Dubai Hotel Located in Dubai City Centre, Dubai Shopping Area and Dubai Business District! City Seasons Hotel, Dubai - a four-star deluxe hotel presents a welcoming ambience for international guests. It is ideal for discerning business travelers and families. The hotel offers 180 distinctively appointed rooms inclusive of 20 suites, overlooking the city. Designed for the corporate or family traveler, the elegant standard rooms feature quality bathrooms and all amenities. The exclusive suites offer spacious bedrooms, bathrooms and private living rooms. Room facilities include: satellite TV, phone, tea and coffee making facilities, mini bar, iron and safety deposit box. Enjoy a lavish spread of international cuisine at our New Seasons restaurant. Relish Far-Eastern delicacies at Al Nawras speciality sea food restaurant... or relax at Al Nakheel Coffee Shop in the lobby area.